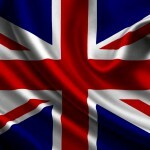 Home » Action/Drama » Drama » Still have Spooks (MI5) separation anxiety? Still have Spooks (MI5) separation anxiety? Attention, Downton Abbey fans. We all know you’re in the midst of a seriously long bout of separation anxiety. You are not alone. 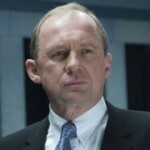 Think of you’re fellow television brethren that know quality television when they see it….the Spooks (MI5) fan. It’s been almost a year since Lucas and Harry were on the rooftop (not a spoiler for those that haven’t seen) in the UK and about six months here in the U.S. since that rooftop encounter. Either way, it’s a lifetime for Spooks fans. Even though filming has been completed for set 10, not much has leaked out in the way of plot lines, character additions and/or subtractions to the grid or what country will be the focal point of Harry’s attention this time. Well, thanks to a little ‘visual intel’ from Officer Skully and the folks over at the Spooks Fan Blog and Graham, in particular, who might have solved the question as to where Harry might be traveling in series 10. Looks like an East Berlin stamp is in Harry’s passport’s future. In a combined attempt to soften that separation anxiety and make sure you are up to speed from day one when series 10 is transmitted, a little re-cap of series 1-9 for your viewing pleasure. A great way to spend the next six minutes. PLEASE bring MI-5 back to tv…I didn’t know there was a series 10 in the making…This program is absolutely riveting-great acting, great plots, and authenticity…your heart beats a little faster as you become absorbed in each program. When will MI5 and ZEN be returning in the fall of 2011? I have enjoyed both series. Zen was only 3 stories which disappointed me there could have been more series to this. 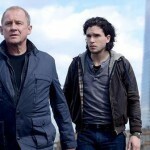 MI5 is the best of series although i did not like the ending with not knowing if Harry is coming back or not. When are you going to show series 10? @Candace: Would love to tell you that Zen will be returning but, unfortunately, the BBC did not renew the series for a second season so only 3 exist, the three that aired on PBS, and KERA, in July. 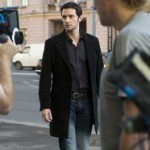 Regarding MI5, which has to be the best show on television, season 10 will begin in mid-April 2012 on KERA. At this point, not sure how or if I will be able to air any of the previous seasons to “refresh” everyone’s memory but will certainly try. Wish I had better news re: Zen, but I’m afraid what exists is all the will exist.